For women-owned businesses, there are three potential challenges to keep in sight as we move throughout the year. The Federal Reserve has maintained a steady course of raising interest rates to keep pace with economic growth. The Fed hasn’t made any firm commitments – yet. But, further adjustments to the federal funds rate may be on deck for later this year. That could be costly for female business owners seeking financing. Women already face a tough business lending environment. According to the latest Private Capital Access Index (PCA Index) from Dun & Bradstreet and Pepperdine Graziadio Business School, just 18 percent of women entrepreneurs were able to get bank loan financing during the third quarter of 2018. 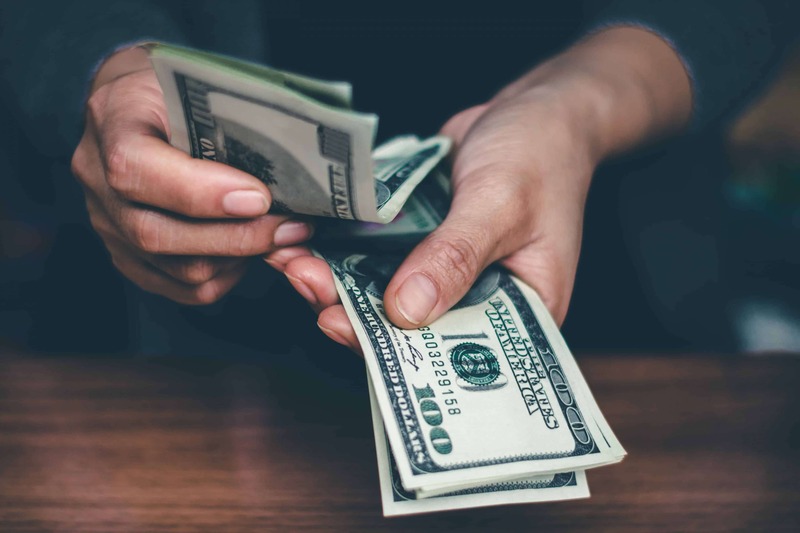 Fifty-seven percent of women said the current business financing environment is hindering their business growth, compared to 42 percent of all business owners surveyed. Twenty-four percent of women said additional rate hikes would restrict their growth further. In addition 15 percent believe that rising rates would make raising capital more difficult. Women entrepreneurs who are considering a loan in 2019 should be watching Fed policy and rate movements closely. Additionally, they may want to explore bank loan alternatives, such as revenue-based financing or factoring to meet financing needs. The 2018 midterm elections resulted in some historic wins for female lawmakers, with nearly 120 women in Congress this year. That could be a boon if newly elected senators and representatives promote initiatives designed to advance female-lead businesses. Business owners should keep their ears open and listen out for new grant and lending programs or policy shifts that increase the number of government contracts awarded to women are on the horizon. The midterm elections may also have a broader impact for all business owners in terms of how Congress may shape trade, tax and healthcare policy moving forward. Businesses may still be adjusting to the latest round of tax and healthcare reform but the possibility of further changes should be firmly on their radars. The imposition of new tariffs could also result in higher operating costs for businesses that rely on imported goods. While the economy is still going strong, 2019 may bring a slowdown in the pace of growth. That, in turn, could directly affect business owners, particularly women. According to the Private Capital Access Index, women business owners are more likely to struggle with cash flow compared to other businesses. 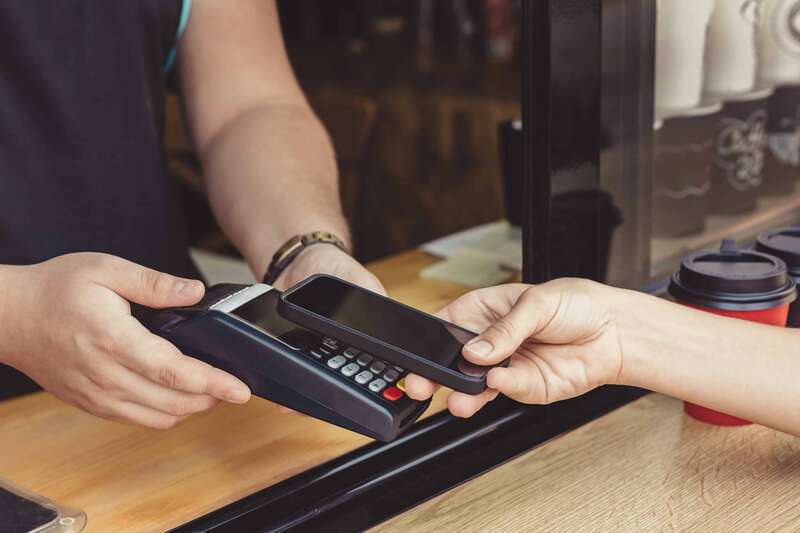 Twenty-eight percent reported issues with receiving payments from customers, versus 23 percent of small businesses overall. A slower-growing economy could raise that figure higher if vendors or customers are sluggish in making payments because they’re dealing with cash flow issues of their own. As we move through 2019, women business owners may want to revisit their invoicing and payment policies. Shortening payment terms, imposing late fees or accepting a broader range of payment methods could help speed up payments and avoid cash flow lags. Being prepared for these kinds of bumps can help make 2019 a smoother, more successful year for women-owned businesses. Fast-growing businesses may face a problem financing an expansion. But asset based financing may offer advantages over more traditional methods of borrowing money. Here’s what you need to know. How asset based financing works. Imagine that you are running a retail apparel company and need cash to grow your business. Instead of applying for a loan based on the company’s credit history, you might instead ask for financing secured by the inventory you hold. Clothing retailers usually hold significant levels of inventory (dresses, jeans, etc.) which may be used as loan collateral. Many retailers also operate as wholesalers to smaller firms and so usually have unpaid invoices outstanding. Companies may also be able to use those invoices to help finance their own operations by contracting with an intermediary known as a factor. The factor buys the invoices at a discount in exchange for providing immediate cash. Here are seven reasons consider asset-based financing. What are the benefits of asset based financing? When compared to traditional forms of lending, asset based financing can can offer a wide array of benefits – from fewer restriction, to cost savings, to less paper work. While it is not the best fit for every business, it does make sense to include it as part of your due diligence when selecting the best financing product for your business. Here are seven reasons to consider asset-based financing. Asset based loans are secured loans. And, therefore, may be far cheaper than traditional loans which are usually based on the company’s financial history. If a loan is based solely on the credit history of a firm, it is considered an unsecured loan. As such, the borrower will get charged a higher interest rate. That’s because the bank may be assuming more risk when they make an unsecured loan. The secured versus unsecured loan structures are similar to consumer loans, in that home loans may be cheaper than credit card debts. 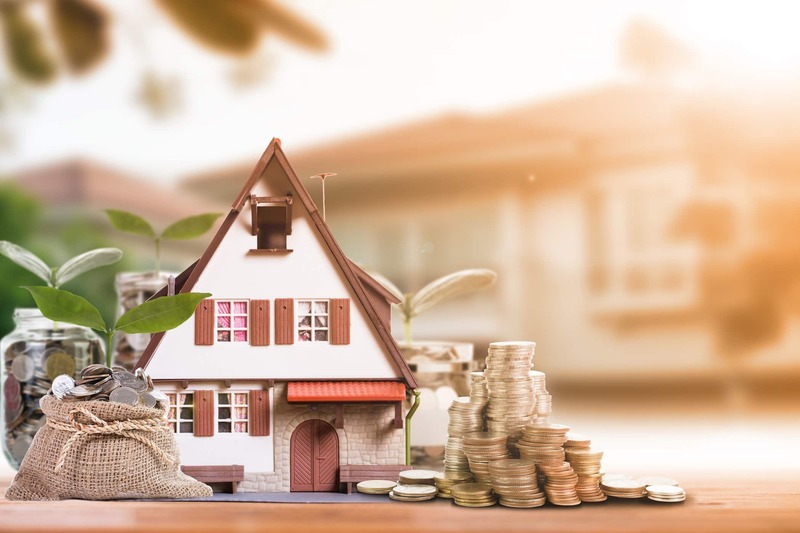 With a home loan, if you don’t pay your mortgage the bank may repossess your home; however, with credit card debt there’s typically no security deposit backing up the loan. While obtaining a traditional business loan might require you to document the financial history of your company’s operations, an asset-based loan likely would not. In other words, borrowing against the value of your inventory might be an easier way for a newer company to get financing than trying to get a traditional loan. Many loans have restrictions on how the money from the loan gets used. For instance, a bank may ask why you need a conventional loan (also known as a term-loan because it is given for a specified period) and how you intend to repay it. If you take out a term-loan and tell the bank you want to use it to remodel your retail stores, then that is how the bank expects you to use the proceeds. The good news is that asset based loans typically may have fewer use restrictions. You must eventually pay back any loan to the lender. However, not all loans are created equally. Asset based loans often don’t require the entire loan amount to be paid off according to a fixed timetable, often known as an amortization schedule. Term loan payments (including a pay-down of the principal balance) must be paid each month. Asset-based loans often have more flexible payment terms, allowing businesses to pay off the debt at a time that is most suitable given their cash flow. The result is potentially more flexibility for companies using asset based financing. If you take out a traditional loan, then the balance due appears on your balance sheet. Some asset based financing does not get recorded that way. For instance, if you sold your outstanding invoices to a factor in exchange for immediate cash, there would be no balance to show on your firm’s balance sheet. All you’d need to do is to note how you managed this financial transaction in a footnote on the financial statements. This is known as off-balance sheet financing. 6. A good way to finance working capital. Companies experiencing fast growth may find it hard to get additional working capital via revolving lines of credit. On the same end, as the need for working capital increases your firm may have higher levels of inventory and larger invoices due from customers. You may use inventory and larger invoices as collateral to finance increased working capital needs. Feeling more confident about your business to go shopping for a loan? Before you start looking you should understand what factors impact terms of your loans. Editor’s Note: This is one of an eight-part series about key financial terms all entrepreneurs should know. Never heard the term “Cash Flow Statement”? The good news is that it’s almost exactly what it sounds like! And, by the end of this article, even a financial-terms-novice can feel comfortable reviewing and discussing a cash flow statement with his or her CPA or CFO. What exactly is a cash flow statement? Taken together, these three groups account for all cash coming into and going out of a business. Why are cash flow statements important? Staying on top of cash balance is critical to the health of a business. This is of particular importance if you’re a business who is likely to raise money at some point. And knowing your “runway” — or how long you’re able to operate with the cash you have on-hand at the moment — is key. How can cash flow statements impact your financing options? Cash flow statements allow potential financing partners to assess a company’s general health, including how quickly your company will be able to pay off outstanding debts. Although it’s not imperative to have a high cash flow to borrow money, lenders may favor companies that do. The more positive a cash flow statement looks, the easier time you likely to have securing favorable financing options. Can I create my cash flow statement? Staying on top of your personal and business credit scores is important if you plan to apply for business financing. Setting up banking and credit card alerts can make the job easier. Better still, it can also potentially lead to an improvement in your credit rating. If you’re not already using banking and credit card alerts to your advantage, here’s what you need to know. Personal and business credit scores are calculated differently. Your personal FICO score, for instance, is based on payment history, amounts owed, length of credit history, types of credit used and new applications for credit. Business credit scores focus on different factors. The Experian Business Credit Score looks at your credit obligations to suppliers and lenders, legal filings involving your company and public records. Dun & Bradstreet’s PAYDEX Score is determined by how well your business pays its bills. Payment history is the central factor in influencing your PAYDEX business credit score; it also carries the most weight for personal credit scores. Set up bill payment alerts to help you avoid late or missed payments, which could negatively impact your credit score. Even better, ensure you pay your bills on time by pairing alerts up with automatic bill payment through your bank. After payment history, your credit utilization is the next most important factor for scoring personal credit. Credit Utilization is the percentage of your total credit line that you’re using. Carrying high balances or maxing out your credit cards works against you. Set up an alert to notify you when your balance hits a certain threshold. This may help you put the brakes on spending. Fraud can affect both your personal and business credit scores if someone steals your credit card or taps into a line of credit you’ve opened and runs up a balance. An easy way to help combat that is to set up an alert to let you know when a new debit or purchase transaction posts to your bank or credit card accounts. Checking your own credit report won’t hurt your score. So this is something you should do at least once per year, if not more often. Review your credit to look for things that alerts might miss — a new account opened in your name that you don’t recognize or a credit reporting error that might be hurting your score. If you spot an error, dispute it with the credit bureaus reporting the information. Doing so could get the information corrected or removed, giving your credit score a lift in the process. 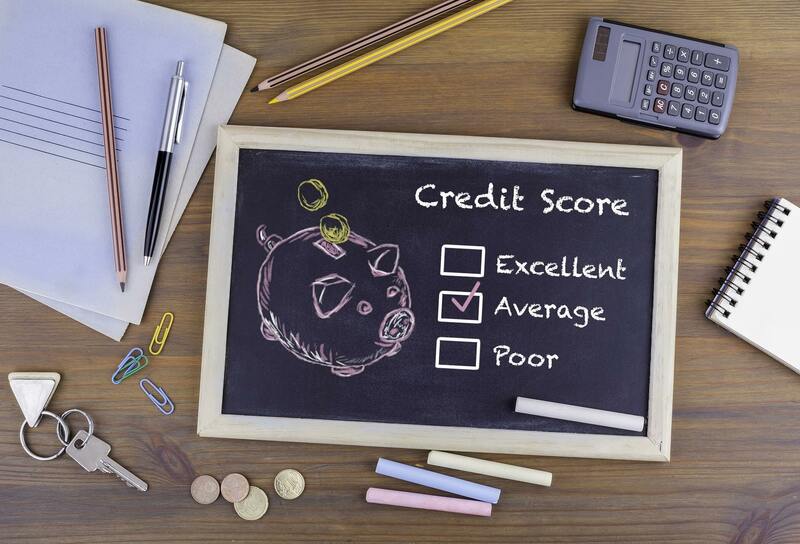 Looking for other ways to improve your credit rating? Check out these articles. Editor’s Note: This is one of an eight-part series about key financial terms all small business owners should know. Financial literacy is important for all business owners, but it’s absolutely critical for those who are considering raising money in the near future. 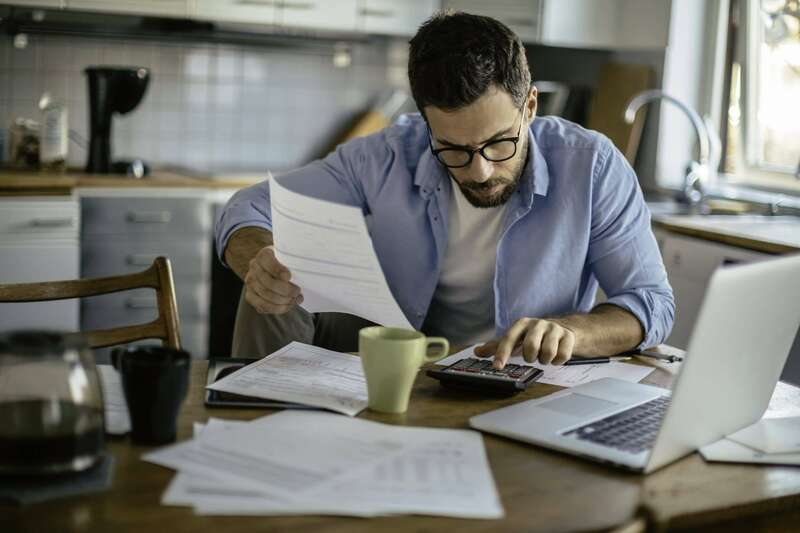 Here’s everything you need to know about debt-service coverage ratio (DSCR), with an expert weighing in on why it matters. What is debt-service coverage ratio? Debt-service coverage ratio is a measure of a company’s ability to pay its debt based on available cash flow. It is calculated by dividing net operating income (noi) by total debt service.”Debt service” is a term that refers to all obligations due within one year. This includes short-term debt and the current portion of long-term debt on the company’s balance sheet. Why is debt-service coverage ratio important? Debt-service coverage ratio is important because it shows investors and lenders that you have positive cash flow. Having positive cash flow shows that you have made smart managing decisions in balancing your debt obligations and operating expenses. If you DSCR calulations show that you have a DSCR of less than one (1), that means your business has negative cash flow. A negative cash flow indicates, essentially, that you will need to borrow money to pay off existing debts. How can debt service coverage ratio impact your ability to raise capital? Though varying economic conditions and differences from industry to industry impact the minimum DSCR an investor or lender will look for, generally speaking, the higher your DSCR, the easier it will be to raise capital. If your DSCR is below one (1), raising or borrowing might prove incredibly difficult — or, at least, prohibitively expensive. Conversely, if you have a high DSCR — say, above 1.5 — you can use it as a bargaining chip. Knowing that your company may be considered an attractive investment gives you the power to seek out favorable terms from potential investors and lenders. How can you improve your debt service coverage ratio? To better your chances of getting a loan or other infusion of capital, you will need to increase your DSCR. Doing this may not be as difficult as you may think. One thing you can consider is looking into increasing your net operating income to cover expense. Another is decreasing your operating expenses. With both of these, you can use the additional cashflow to pay off existing debt. All three of these – increasing your net operating income, decreasing your operating expenses, and paying off some debt – help to improve youre DSCR. When looking to increase your net operating income, think of some ways you can quickly and easily increase your revenue such as turning excess inventory into extra revenue, leveraging tactics your customers already trust to increase your sales, and making sure you are taking advantage of every lead or potential customer that comes your way. Giving a boost to your revenue is only one way to increase your net operating incoming. Another quick and easy way to accomplish this is by decreasing your operating expenses. Believe it or not, there are a number of ways you can decrease operating expenses and free up some of your capital – from revisiting vendor relations and strategies, to splitting core and convenience ordering to improving your negotiation skills, you’re sure to find an area to cut expenses. You can also find ways to increase employee productivity, and improve processes. Vincenzo Villamena, managing partner of entrepreneur-focused CPA firm Global Expat Advisors, breaks down why debt-service coverage ratio is so important for entrepreneurs to track. Why is debt-service-coverage ratio an important metric investors and lenders consider before funding a business? Investors and lenders use the DSCR to see if you can make your monthly loan payments. It is also used to determine how much they can lend you safely on any economic condition. The DSCR makes you more likely to qualify for a loan and receive better terms for the loan, such as lower interest payments and higher borrowing amount. What’s a solid DSCR business owners should strive to maintain while growing a business? Generally speaking, a DSCR of 1.2 or better is considered good. Although, I have seen loans given to companies with 1.1 ratio. I’ve also seen when the economy or an industry is down, the banks requiring a ratio of 1.5 or better. So there is always a variance. If an entrepreneur has a DSCR below 1, what explanation might he/she be able to offer to would-be investors and lenders to ease their concerns? If the DSCR is below 1, there needs to be a good explanation to give to investors and lenders, such as a lot of R&D costs, hirings or a recent product launch in which the true revenues of the company do not reflect the YTD or LTM financials. So, you’ve got a great business idea, and now you’ve got to fund it. Or maybe you need an infusion of cash to help it grow. 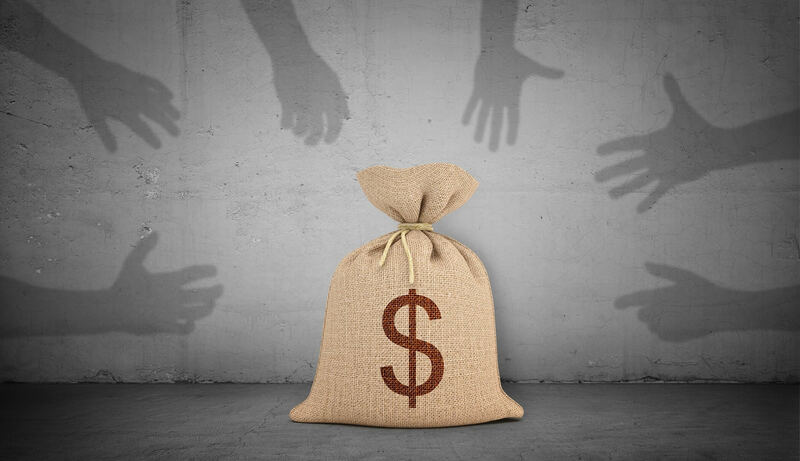 Regardless of your situation, navigating how to find additional funding can be difficult. There are grants and similar funding sources to help you launch, grow or expand your small business, but before you apply, make sure you thoroughly review the eligibility requirements and deadlines, as well as the applications of previous winners. Many small businesses initially start by looking at Grants.gov. You can also go to GrantsWatch.com, an aggregator website that allows visitors to search by geographic region or sector. Here are a some other places to help your funding search. If you work for yourself and become a member of the National Association for Self-Employed, you can apply for a grant worth up to $4,000 to help grow your business. Since 2006, the grant has awarded $650,000 to small businesses to help them purchase computers, farm equipment, hire part-time help, pay for marketing materials, creating a website and more. Also take a look at the Idea Cafe. Although many of the award recipients are women, this website has a small business grant center open to everyone, including $1,000 small business grants for anyone who currently owns a business or is planning to start one. Many corporations offer small business grants, though they tend to be focused on a theme or issue, and often are structured as competitions. Finding a corporate grant program that fits your idea or small business may take some additional searching. Launched in 2015, the Visa Everywhere Initiative funds businesses that help solve payments and commerce challenges. In 2018, four finalists — three challenge winners and one audience choice winner — competed for the grand prize of $50,000 and a potential partnership with Visa. Another option is the FedEx Small Business Grant. From reinventing the wheel for a wheelchair to helping girls access science, annual grants help entrepreneurs launch their ideas and businesses. If your new business is a nonprofit, you might consider applying for a grant from Walmart. The large corporation gave over a billion in cash and in-kind contributions during its latest fiscal year. Its grants are typically given to nonprofit organizations that usually focus on sustainability and/or community-centered groups and ideas. Their Spark Communities Program, formerly known as the State Giving Program, awards multi-year grants starting at $500,000 to 501(c)(3) organizations. The USDA offers Rural Business Development Grants for companies of less than 50 people and with less than $1 million in gross revenue. If you’re a farmer in Texas who has a business idea the Texas Department of Agriculture funds grants twice a year (spring and fall) for farmers ages 18-46. Many regions have geographic-specific grants. For example, the city of Chicago has a Small Business Improvement Fund that uses Tax Increment Financing — better known as TIFs— to help companies that repair or remodel their facilities for their own business or on behalf of tenants up to $150,000. You can also review local options by going to state agency websites. For example, if you live in Iowa, there’s a whole list of grants on IowaGrants.gov. In Washington, D.C., the Department of Small and Local Business Development has its DC Main Street grants to help improve business districts with more retail stores. To look state-by-state options, try USA.gov. On a national level, if you’re looking to partner with a federal agency on research and development, consider the Small Business Technology Transfer Program (SBTT), which has small business collaborate with the research and development department of a federal agency such as the Department of Energy, National Science Foundation and Department of Defense. Another option is the Small Business Innovation Research Program (SBIR), where small businesses work with federal research and development departments in order commercialize research. Your credit score — the number between 300 and 850 that represents your personal creditworthiness — has a larger impact on your business and your life than you might imagine. The higher your score, the better your odds may be of leasing a car, equipment, or space to house your company. A better score may also reduce your expenses, by helping you qualify for lower interest rates on purchases, too. Taking steps to increase your credit score may also have a direct impact on your monthly budget and your ability to achieve larger goals like buying a building or expanding overseas. So what can you do to improve your score quickly? Beverly Blair Harzog, credit card expert for US News & World Report and author of The Debt Escape Plan, has some advice. First, she says, start by finding out what your current score is. You can get a free credit report and score once a year from each of the three credit reporting agencies – Equifax, Experian, and TransUnion. Review the report to find any information that is incorrect and dispute it. Having negative items removed may increase your score right away. 1. Get your credit card debt to below 30% utilization. Thirty percent of your FICO score (short for Fair Isaac Corporation), says Harzog, is based on how much of your available credit you’re currently tapping into. Meaning, if you have three credit cards with a $1,000 credit limit on each, your total available credit is $3,000. And if you’ve charged a total of $500 on each card, or $1,500, you’re at a 50% utilization rate. That’s too high. One solution is to pay down the debt. The other is to increase your credit availability. Harzog recommends calling your credit card issuers and asking for a credit limit increase. But you should do this only if you have a track record of paying your bills on time. Do not make this call if you frequently pay late. If you’re a late payer and you ask for an increase, the credit department may look at your account and decide to reduce your credit limit, which would in turn lower your score. 3. Keep your credit cards active by charging a small amount each month on them. Cards that have no activity are at risk of being closed. A closed card would reduce your available credit and negatively impact your score. So consider buying something small on it to keep it open. Then try to pay off the card each month, to keep your utilization low. 4. Get into the habit of paying all your bills on time. Since 35% of your FICO score is based on payment history, even one late payment can cause a score drop. This includes your credit cards, mortgage, car payment, as well as your utilities and phone bill, says Harzog. If you have difficulty staying on top of your bills, create a budget and at least make the minimum payment each month, so that your creditors can report you paid on time. 5. Consider a credit builder loan. Credit unions and community banks frequently offer these tools, which allow you to demonstrate a track record of timely repayment. These types of loans “Won’t give your score as big a boost” as the other steps, but they will have an impact, says Harzog. While working on your score, do not close any credit accounts, she recommends. Every account closed reduces your available credit, which then increases your utilization, which you don’t want. So unless the annual fee is huge, leave it open. Business owners the world over know that a smooth cash flow can be critical to a business’s success. But, achieving the optimal flow of money coming in and going out isn’t simple. Cash flow can be difficult to manage since you often don’t have control over the money flowing in. However, the way you handle accounts payable can help smooth out your cash flow. Here are five ways to help you meet your accounts payable responsibilities with an eye to smoother cash flow. Has your business established itself as a good customer – paying suppliers in full and on time? If so, consider requesting more flexible payment terms when contract renewal time rolls around. Maybe you could arrange extended payment terms during the slow season to accommodate sluggish accounts receivables. Or reduce the cash leaving your business by requesting discounts for early payments or bulk purchases during traditional busy seasons. Remember to watch out for special offers from your suppliers’ competitors. Use these offers as opportunities to ask for a price match. If your business doesn’t have a credit line/operating line, apply for one now, even if you don’t currently expect to use it. Don’t wait until it’s a struggle to pay your business bills. If you wait, your business credit may have suffered due to late or partial payments to suppliers or other creditors. Not to mention the added stress of hoping for a credit line approval in addition to worrying about paying the bills! Instead, applying for a business credit line while your records show good cash flow could strengthen your credit application. 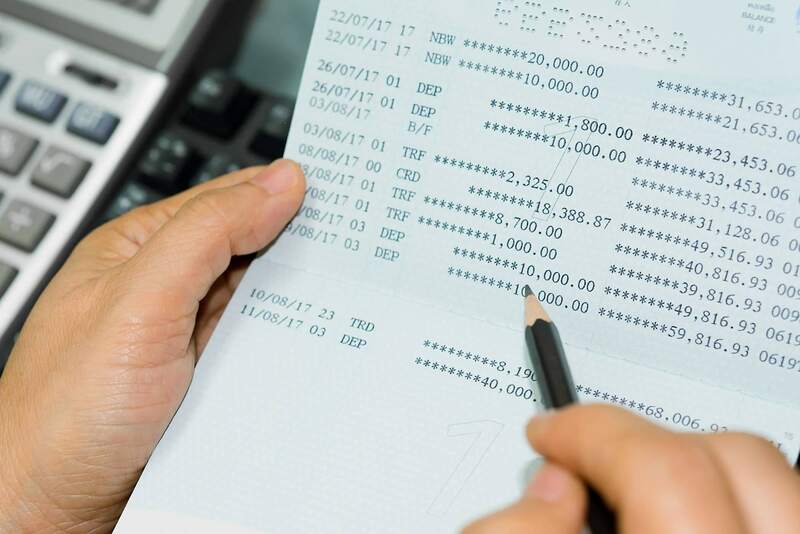 A credit line helps smooth out cash flow by giving businesses a financial source that they can tap to meet immediate accounts payable obligations. You’ll only pay interest on the money borrowed against the credit line. Depending on the terms of the credit line, your monthly payments could be interest only, or a set percentage of the total amount borrowed. You can pay the balance off at any time, such as when your accounts receivables are flowing in well. Like a credit card, a credit line is a form of “revolving credit,” so when you pay your balance off (or down), you can then borrow again up to your credit line limit as needed. Although you may get anxious about making payments early, when you’re trying to deal with a cash crunch consider holding off making payments until the due date. Doing so gives your business more time to collect on outstanding accounts receivable – providing the cash to make your payments. And if you’re making payments from your credit line, which charges interest from the day you withdraw the funds, you’ll pay less in interest with a delayed payment. It seems simple, yet paying suppliers by credit card is one of the best ways to smooth cash flow and deal with accounts payable woes. That’s because unlike credit lines or operating lines – which charge interest from day the money is borrowed – credit cards have what is known as a grace period for credit card purchases. A grace period refers to a time frame during which interest accumulates but isn’t charged as long as the outstanding credit card balance is paid in full by the due date. So you’re essentially borrowing money interest-free during the grace period. If you use this strategy, pay close attention to both the credit card grace period as well as your supplier due date to make sure you won’t get charged additional interest for late payments to either. For example, say you owe your supplier $1500 on the 15th of the month. They process your credit card payment for the 15th, which falls at the beginning of your credit card grace period. Depending on the credit card issuer, you may have a grace period of anywhere from 21 to 25 days. And take note – grace periods may not apply to credit card cash advances and balance transfers. If you need a fast solution to paying your business bills, consider liquidating assets for cash. Does your business own equipment, supplies, machinery, real estate, vehicles or other assets that you could sell? Although it may seem drastic, selling assets may prove a quick method of gaining cash to cover upcoming accounts payables while you work on a longer-term accounts payable strategy. Keeping on top of your accounts payables can help improve your business’ financial health. It could have a positive impact on your business credit, and establish or improve the relationship with your suppliers. Small businesses are increasingly using technology across disciplines to grow, attract top talent, and sell products and services. So, applying a digital approach to cash flow management is a natural next step. Four types of tech, in particular, may prove invaluable for improving your business’s cash flow efficiency. Customer relationship management (CRM) software is useful for maintaining customer records, but there are more applications to CRM for small businesses. CRM software can improve cash flow by improving your sales records, and by ensuring that your business focuses its energies on the most profitable activities consistently. For example, that may be attracting and converting a new customer base or taking proactive steps to retain existing customers. 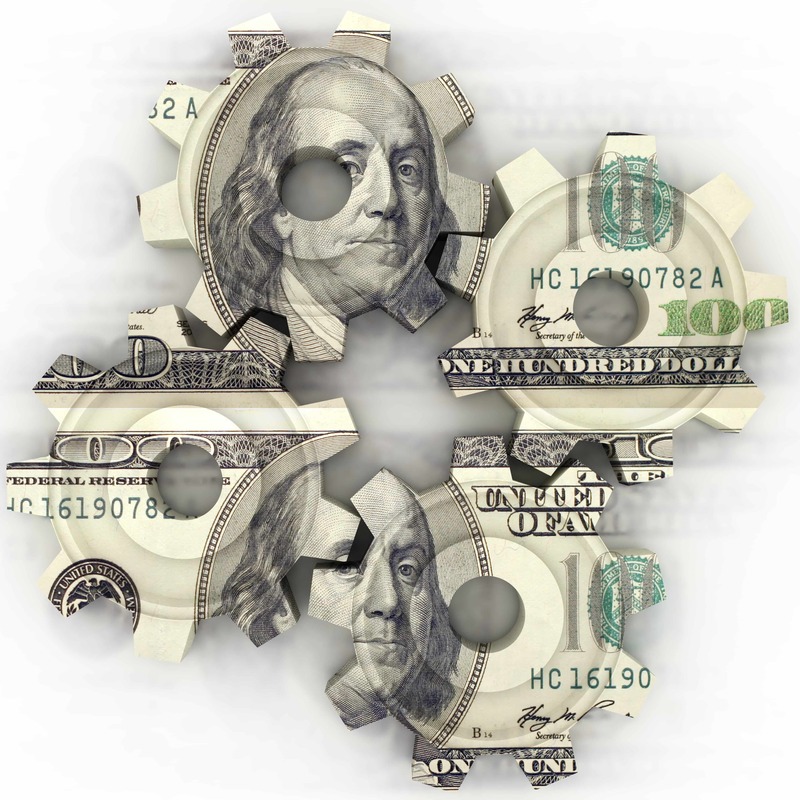 Automating cash flow systems may yield multiple benefits. First and foremost, it’s a time-saver. Rectifying accounts becomes streamlined when your accounts payable and accounts receivable systems are automated. Automation can also make it easier to monitor cash flow within your business accounts. If your cash flow system is centralized, you can easily see – at a glance – how much cash you have on hand and what payables or receivables are still outstanding. Additionally, automating can make settling accounts easier for your customers and vendors. 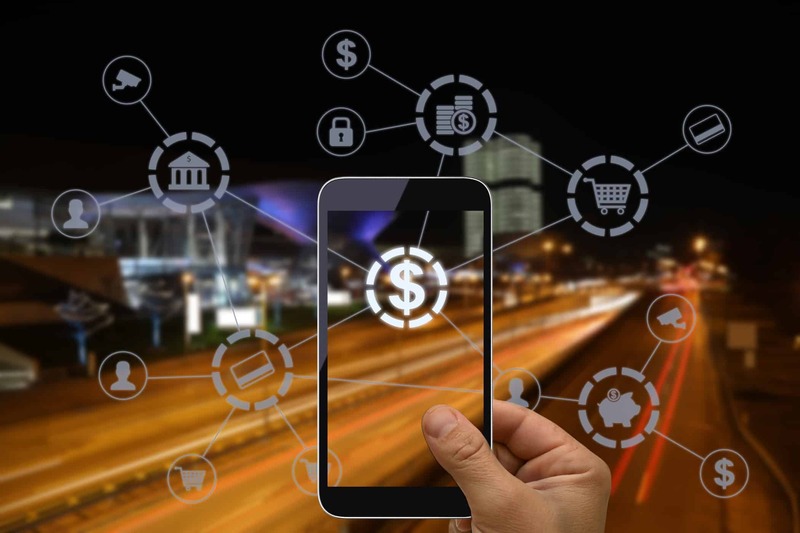 When payments to vendors are automated and customers are able to receive and pay invoices via auto payments, it’s possible to smooth out cash flow bumps and know when money is coming in or going out. Virtual account management is a way to manage multiple business financial accounts under a single umbrella. Your virtual account can be tied to various physical bank accounts in order to act as a gatekeeper. Payments to vendors and payments received from customers move through the virtual account, making reconciliation less of a hassle and resulting in fewer banking fees. Accepting digital payments through virtual accounts provides another tech-driven cash flow enhancement. Allowing customers to pay using PayPal, Apple Pay, Google Pay and similar payment apps can make settling invoices more convenient and it may offer the added bonus of allowing you to avoid expensive credit card processing fees. Big data analysis isn’t just for large corporations; small and medium-sized enterprises can also leverage data analytics for improving cash flow. By analyzing trends in your payables and receivables data, you can generate more accurate cash flow forecasts. Specifically, you can drill down and see how something such as developing a new product or implementing a price change might affect your cash flow. Data analysis can also help you identify and plan for seasonal dips in cash flow, or find out-of-the-ordinary activity that could impact cash flow negatively. Bottom line, data analytics can help you be more insightful when it comes to cash flow management. Planning to apply for a business loan? Having specific financial documents ready for your banker or a lender when you submit your loan application can make the loan process smoother and potentially increase your chances of securing financing. An A/R aging report gives lenders one insight into your cash flow and ability to repay a loan. The faster your receivables are paid, the better your cash flow may be. Speaking of cash flow, you’ll need to draft a cash flow statement before applying for a loan. This document is a comparison of the cash you have coming in to the business from your receivables, and your payables (meaning what you have going out for expenses), including interest paid on business loans, and business investments. So why does a lender need a cash flow statement? Similar to the A/R aging report, it’s a way to measure your business’s ability to repay a loan. A healthy cash flow may put your business at lower risk of default. The primary purpose of a profit and loss statement (P&L) is to examine your business’s net income or earnings. Your profit is the amount left over from your total revenue after operating expenses, taxes, interest paid on business debt and depreciation, and amortization of business assets is deducted. A P&L statement can show you and your lender how your profits have trended over time. A business that’s consistently profitable, for example, may be more likely to be considered financially sound and equipped to repay a loan. Profit and loss statements and balance sheets sometimes overlap, but they serve different purposes. A P&L statement tracks your financial performance over a set time frame; your balance sheet offers a snapshot of your business’s financial standing at one specific point in time. When applying for a loan, lenders may review your balance sheet to gauge how easily you can meet your financial obligations in the short-term. Last but not least, lenders will ask to see your business tax returns from the previous year. In some cases, they may ask for several years’ worth of returns. Lenders use your tax returns to back up the information you’ve supplied through your other financial documents. They can see – at a glance – your business income and deductible expenses, then compare that to the numbers on your cash flow statement, balance sheet and profit and loss statement. Together, these five documents give lenders a holistic picture of your business’s financial health, and being diligent about preparing them can pay off once you’re ready to apply for a loan.